The easiest way to support Alice James Books is through an annual subscription plus a $100 donation, which includes the benefits listed below for donations at the $200 level. With an annual subscription cost of $85 for 8 AJB books, subscribers SAVE up to 35% off the cover price and receive automatic shipping of books as they are published. 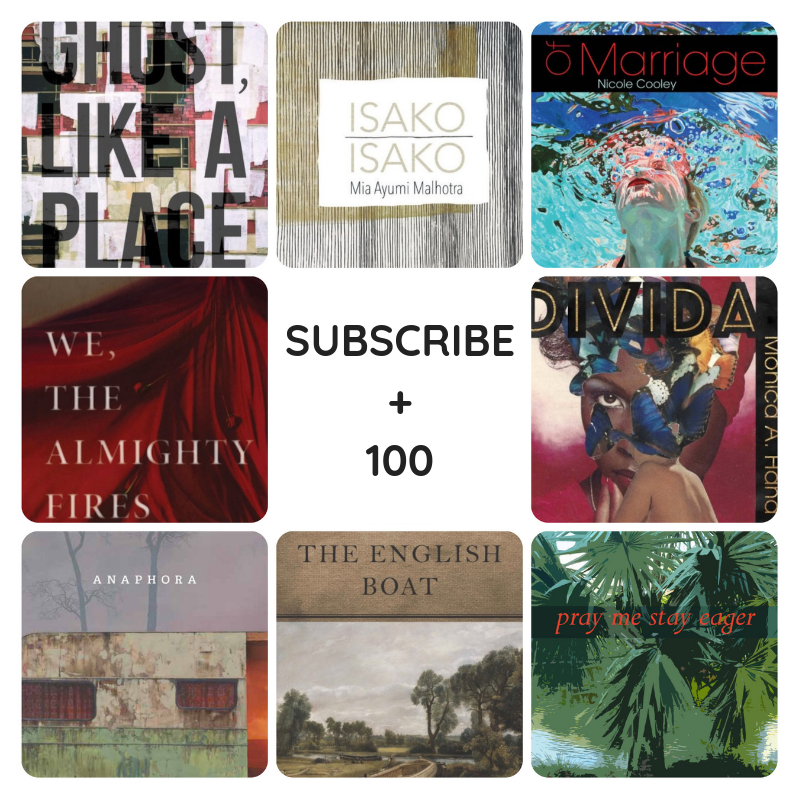 8 books of poetry a year + your donation = Subscribe + 100. Renewable annually. Alice James Books is a 501(c)(3) charitable organization.